ZNet Technologies won SME Channels award in the “Application Specialist” category at New Delhi, India. 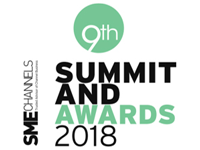 ZNet won this award based on RackNap’s success as a cloud service delivery platform among the Cloud Solution Providers (CSPs) across the globe. 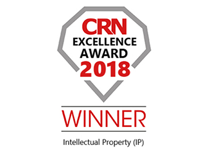 ZNet Technologies won CRN Excellence award 2018 under the category “IP Creation” at Goa, India. ZNet won this award based on success of its proprietary cloud service delivery platform – RackNap that was commercially launched in 2017. 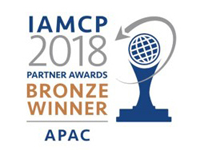 ZNet Technologies won IAMCP P2P award for APAC region at Microsoft Inspire 2018 in Las Vegas, USA. ZNet was chosen as a winner for enabling Microsoft partners in increasing consumption of Microsoft cloud services in the region with its cloud service delivery platform – RackNap. 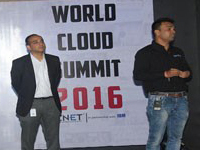 ZNet became an authorized distributor of Plesk in India. With this, ZNet started providing the full range of Plesk solutions for developers, digital agencies, IT admins, content mangers, web hosters, hyperscalers at a very competitive pricing. ZNet commercially launched its cloud service delivery platform – RackNap, after success of its pilot launch in 2016. 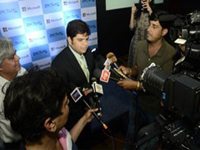 ZNetLive launched the “Complete Online Bundle” (Domain name + Website + Business Email) in partnership with Microsoft to give SMBs an online platform at an affordable price (INR 199/month). ZNetLive helps resellers out with Plesk 12’s enhanced cloud services management. 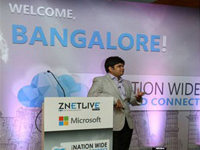 ZNetLive becomes a one of the few certified “Cloud Solutions Provider” in Microsoft’s newly launched cloud adoption program for small and medium businesses (SMBs) in India. ZNetLive Implemented GlobalSign’s Automated CloudSSL Solutions to secure more shared hosting customers, more cost-effectively. ThemeChilly partners with ResellerClub – one of the largest private label Web solutions providers in the world. ZNetLive became a D&B’s Data Universal Numbering System (D-U-N-S® Number) Certified company. ZNetLive’s D&B D-U-N-S® Number is 85-933-1710. D&B’s D-U-N-S Number is the widely recognized standard for identifying businesses among thousands of companies, marketplaces and regulatory entities. ZNetLive got certified by Microsoft as an ‘SMB specialist’ – a company who has the proven ability to provide solutions for small and medium sized businesses. ZNetLive’s Mumbai datacenter facility got certified by Uptime Institute as a TIER IV data center. ZNetLive launched ‘ON’ panel and made it available to all customers. ZNet Technologies was incorporated as a private limited company by Munesh Jadoun with head office set up in Jaipur, India.